Joe Topinka is a frequent keynote speaker at gatherings around the country. Joe cuts through the hype and delivers ideas and tools that can be put to use tomorrow in the office. 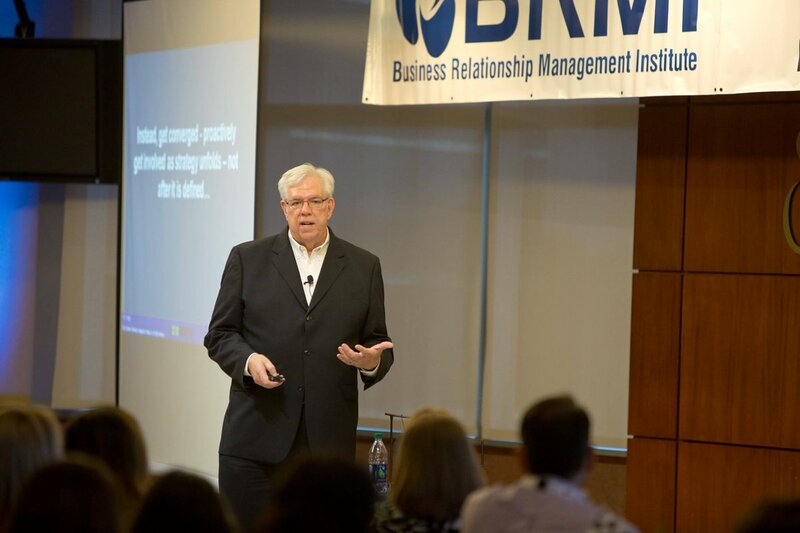 His personable style and pragmatic approach consistently garners high scores from attendees. Joe is a two time CIO of the year award winner in Minneapolis and Charlotte. He brings his experience, energy, and pragmatic style to every engagement. Book Joe For Your Next Event! Dell Services' Jessica Taylor interviews Joe. More than a State of Mind. IT leaders often acknowledge the importance of driving value by partnering with the business; few however talk about how to make that happen. In his presentation, Joe shares his “day in the life” story that illustrates the positive outcomes that occur when IT is proactively engaged with the business. In addition, Joe shares ideas regarding how IT can successfully implement an IT Business Partner function that can sustainably drive business value. Joe also describes the difference between “aligned IT” and “converged IT” and what it means to bottom-line performance. And finally, Joe discusses the importance of transparency and openness relating to your company’s strategic projects and he reveals the innovative methods he uses to accomplish this. In this session, Joe reveals his tried and true methods that help IT emerge from the traditional service provider role to one of true business partner. In his presentation, Joe disclosures CEO’s biggest fears and discusses techniques that move IT from a mysterious chest of secrets to known, trusted adviser, from order taker to business peer, and from a necessary evil to business game changer.